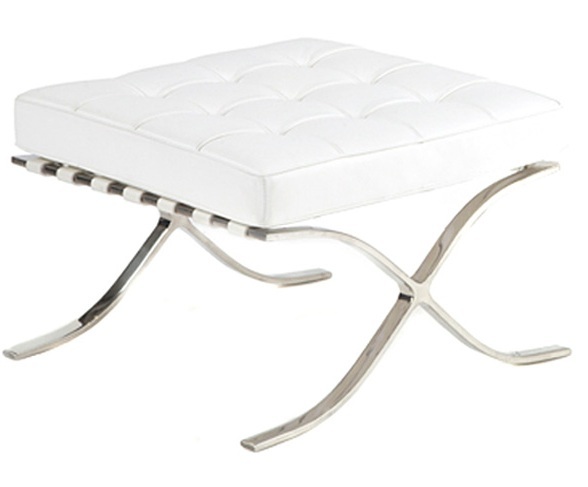 Pamplona Ottoman features a fully welded one piece stainless steel frame, 100% Italian leather, and leather match on the sides and back. The perfect proportions and minimalist beauty of its leather and steel construction works perfectly in both traditional and contemporary settings. 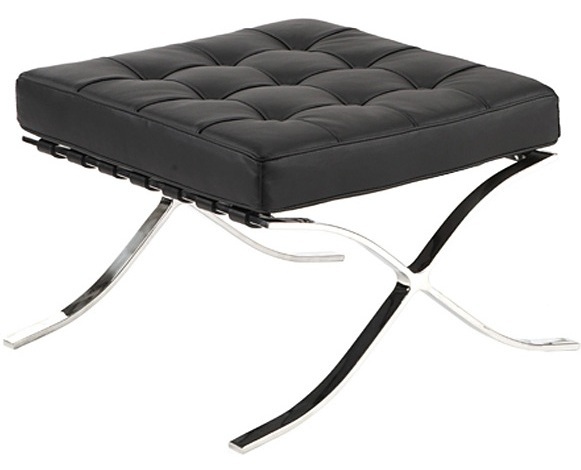 Pamplona Ottoman is Mies inspired reproduction, and is the ideal accompaniment to Pamplona Chair.